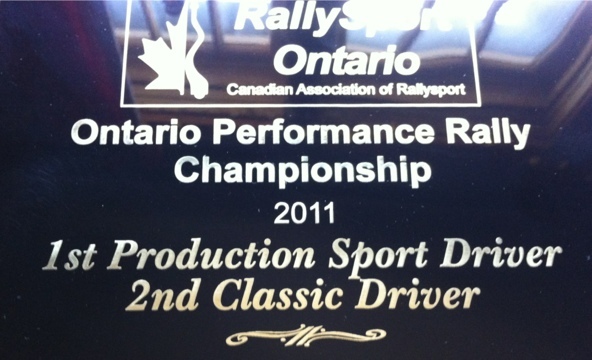 We went to the RallySport Ontario AGO today in Peterborough. 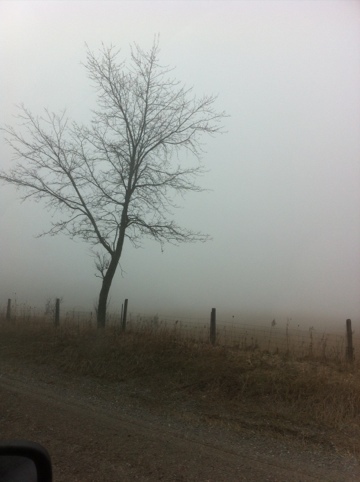 It was crazy foggy (see picture for example of crazy fog). While there we got both a used radiator from a wrecker – for half the price that the wrecker here wanted – and an award! See below for picture of said award. Radiator not pictured. I know, that was the bit you were REALLY interested in.